All Points Heating has specialized in custom fireplace inserts for over 40 years. Our expert team is highly trained in the proper selection and installation of the perfect fireplace, fireplace insert, zero-clearance fireplace for your home. Gas, Electric or Wood Fireplace? Specialists in gas and wood fireplaces in addition to electric, we can assist you in the selection of the perfect fireplace option for your needs. Electric fireplaces are great for small spaces and families with young children or pets. While like a space heater with a life-like flame, electric fireplaces require little maintenance and are moveable. Gas fireplaces provide ambiance, operating very cleanly and conveniently with real flame and strong heat. Wood fireplaces are less convenient, less clean, and require more maintenance, but are still the perfect choice for some applications. Whichever option you choose, a fireplace, fireplace insert, zero-clearance fireplace is a wonderful addition to any home, and All Points Heating can expertly install the ideal option for you. Fireplace inserts can turn inefficient masonry fireplaces into powerful heating systems. While zero-clearance fireplaces are the choice for homes without a masonry fireplace. All Points Heating specializes in the installation of top quality fireplace inserts and zero-clearance fireplaces. We carry a wide range of fireplace accessories, such as screens & doors, hearth pads, log sets and fire glass. Furthermore, all guaranteed to perfectly complement your home’s fireplace. 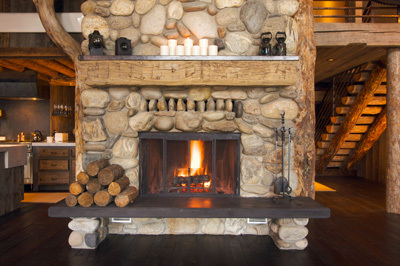 All Points Heating has been selling and installing custom fireplaces in King and South Snohomish Counties Since 1972. We provide a 100% satisfaction guarantee and our special offer of free venting with any fireplace insert. All Points Heating is the best source for all your fireplace needs. In addition, we specialize in installing and servicing air and water heating systems, air conditioning, air filtration systems, stove systems, grills, outdoor living, home power generation systems and 24/7 maintenance services. Call or email us today!